The U.S. Army Corps of Engineers has confirmed that it has found radioactive contamination at residential properties along Coldwater Creek in north St. Louis County. Mike Petersen, the chief of public affairs for the Corps' St. Louis District, said as of right now, "low-dose" contamination had been found in the soil around "a handful" of homes on Palm Drive in Hazelwood, immediately adjacent to the creek. He was not able to specify the exact number of properties affected. The U.S. Army Corps of Engineers removes radioactive soil from St. Cin Park in Hazelwood on Wednesday. The park is staying open during the clean-up, but the Corps is monitoring the air and water for contamination. "We did personally notify those property owners of the contamination, and we’re initiating the remedial documents so that we can get out there and do the remediation in the near future," Petersen said. "But we do want to complete what we’re doing here at St. Cin Park first." The Corps is currently digging up and removing radioactive soil from nearby St. Cin Park in Hazelwood, and replacing it with clean fill. The park is remaining open during the clean-up, although the area being remediated is closed off with temporary fencing. "There’s no increased risk to the public while we remediate," Petersen said. "We have air monitoring, water monitoring, we’re making sure that as we do this work, it’s safe to the public and doesn’t create any additional risk." Earlier testing also found contamination at Duchesne Park in Florissant and a property belonging to the St. Louis Archdiocese behind St. Ferdinand cemetery in Hazelwood. All the contaminated areas are subject to flooding from the creek. Where did the radioactive waste come from? Starting in the 1940s, radioactive waste from nuclear weapons production was dumped at a number of sites throughout the St. Louis area, including a site on Latty Avenue in Hazelwood and another near the St. Louis airport. With rain, flooding, and the movement of groundwater, radioactive materials were carried from those sites into Coldwater Creek. Over time, the contamination moved downstream in the creek, which flows from south to north into Hazelwood and Florissant. This Google map shows the stretch of Coldwater Creek currently being tested for radiation by the U.S. Army Corps of Engineers. The area shaded in pink is in Hazelwood, the area in gray is in Florissant. Petersen said the radioactive soil in people's backyards is from six inches to a few feet below the soil, about the same depth as the materials found in the two parks and archdiocesan property. "There’s no immediate exposure risk to the residents," Petersen said. "We have given them some basic warning information, like you don’t want to be digging, don’t do any major landscaping projects. We’re going to be coming out and cleaning this up." 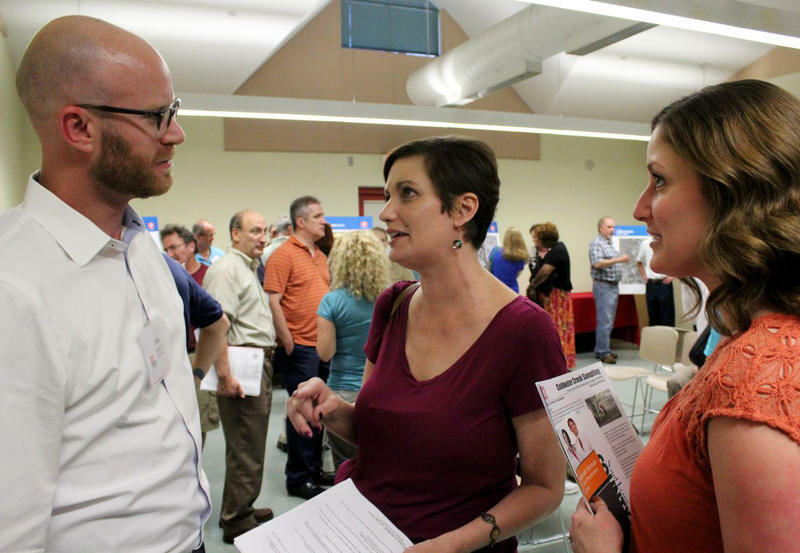 At an open house in June, Corps health physicist Jonathan Rankins said that although the levels of radioactive thorium 230 the Corps is finding are low, they are still at least two to four times higher than the Corps' clean-up trigger of 15 picocuries per gram of subsurface soil. Even so, he said, people using the parks for recreation are not at risk. According to the U.S. Environmental Protection Agency, the main concern from low-level exposure to ionizing radiation is an increased risk of cancer. Studies have shown that inhaling thorium dust can increase people's risk of developing lung cancer and pancreatic cancer. Thorium also can build up in bone, causing bone cancer. What is the Corps doing about the radioactive waste? The Corps' Formerly Utilized Sites Remedial Action Program, or FUSRAP, has already finished cleaning up the source of the contamination in Coldwater Creek — the dump sites on Latty Avenue and near the airport. 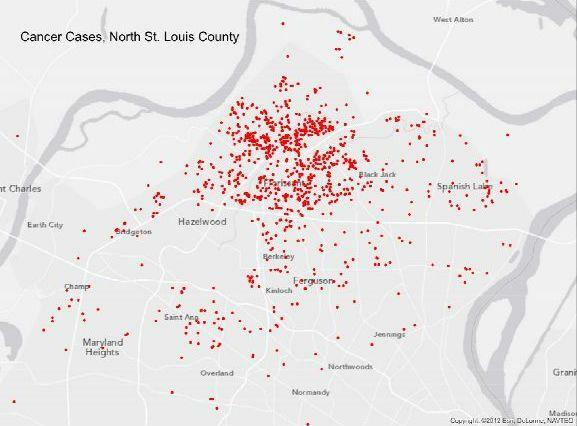 In Jan. 2014, an online survey had collected 1,242 reports of cancer from current and former residents of the neighborhoods around Coldwater Creek in North St. Louis County. New maps will be released at Thursday's meeting. Petersen said the Corps is continuing to test residential areas along the creek, starting with some streets adjacent to the creek and St. Cin Park, including Palm Drive, St. Cin Lane, Alma Drive and Foxtree Drive. To date, the Corps has collected about 5,000 samples between Frost Avenue and St. Denis Bridge. Petersen expects the testing along that stretch of Coldwater Creek to continue well into 2016, but he said it's hard to say exactly how long it will take. "Because as we sample, if we discover an area of contamination, we’ll have to do additional sampling around it, so that actually will extend our timeline," Petersen said. But to test private property, the Corps needs to get in touch with the property owner and obtain permission. Petersen said in some cases that has proved challenging. 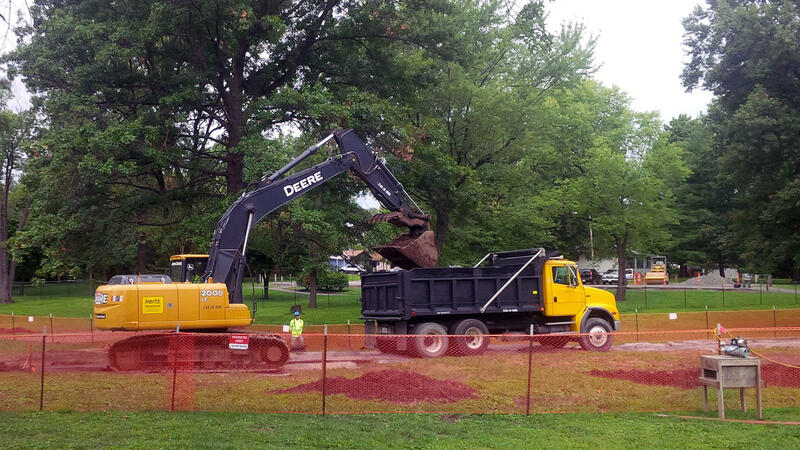 Meanwhile, the Corps is continuing its clean-up of St. Cin Park, which Petersen expects to wrap up by late October or early November, weather permitting. "Our next goal is to get the clean-up performed at those residential properties, those private properties," Petersen said. "We’ll then look at remediation at Duchesne Park and the archdiocese's property down by St. Ferdinand Cemetery." Petersen said the Corps needs to complete testing in the rest of residential neighborhood around the contaminated homes on Palm Drive before starting remediation there, and that will take several months. Does the Corps have enough money for the clean-up? According to Petersen, the federal budge for fiscal year 2015 (Oct. 1, 2014 - Sep. 30, 2015) included $27.6 million for FUSRAP in St. Louis, but he said the anticipated allocation had increased to $32.6 million. 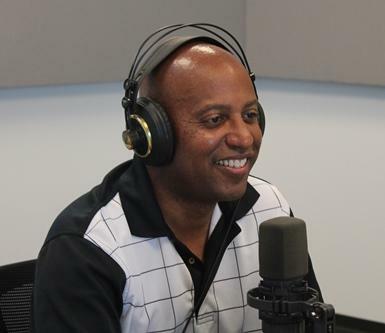 The amount designated for St. Louis FUSRAP in the federal budget for FY2016 is $28 million. But it seems likely the Corps will need even more federal funds in the future. In September 2014, the Missouri Department of Natural Resources sent a letter to the Pentagon in Washington, asking the Army to prioritize funding for its cleanup of radioactive waste sites in St. Louis. The Army finally responded seven months later, declining to commit to any additional funding. The Corps will be providing more details about its St. Louis-area testing and clean-up activities at a meeting on Thursday, scheduled for 6-8 p.m. in the Hazelwood Civic Center at 8969 Dunn Road. The Corps will also have "rights of entry" forms on hand, for property owners to fill out to allow access for testing. The Missouri Department of Natural Resources will provide the results of limited testing it did in St. Ferdinand Park, north of the area being sampled by the Corps. The Coldwater Creek Just the Facts Please Facebook group will release updated cancer maps based on informal online survey data reported by people who live, or used to live, near Coldwater Creek. The group, which now has close to 10,700 members, produced similar maps in early 2014. The St. Louis County Department of Public Health will provide an update on its planned study of cancer cases near Coldwater Creek. The study will focus on current and former residents of creekside neighborhoods. According to department director Faisal Khan, the design of that study is currently being finalized and recruitment of participants could begin in January. "These studies deserve the respect of time, precisely because you have to get them right," Khan said. "If you do a half-baked job at any research study, you damage its credibility beyond repair. And so it fails eventually to support the major objective that you have in mind, which is to focus attention on a particular health-related issue." With so many issues on the agenda, meeting organizers are expecting a large turnout. The presentations will be followed by an open Q&A session with members of the public. 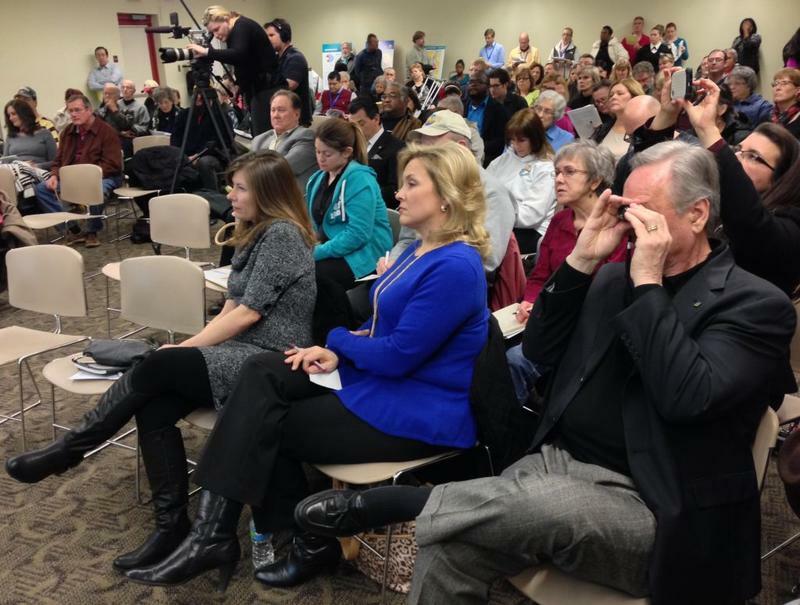 Updated 6/24/15 after the Corps open house - Area residents packed into a room at the Hazelwood Civic Center last night to find out the bad news about radioactive contamination in North St. Louis County. At the open house, the U.S. Army Corps of Engineers confirmed it has found radioactive contamination at three new sites along Coldwater Creek. They are in St. Cin Park in Hazelwood, Duchesne Park in Florissant, and a property of the St. Louis Archdiocese behind St. Ferdinand cemetery, also in Hazelwood. All the contaminated areas are subject to flooding from the creek. More than a hundred people packed into a room at the Hazelwood Civic Center East Thursday night to hear the U.S. Army Corps of Engineers talk about its cleanup of St. Louis radioactive waste sites. During World War II, a St. Louis-based company took on a project that turned out to be detrimental to the health of its employees. Mallinckrodt Chemical Company was responsible for refining massive amounts of uranium for the Manhattan Project. As a result, some of Mallinckrodt’s employees succumbed to various illnesses caused by exposure to nuclear waste.